Mohammad is a Registered Organizational Excellence Specialist with OES and is a member of the research team at OES participating on the ‘first global assessment on the current state of organizational excellence’ that was launched by the OETC and has been supported by the GBN, ISO/TC 176 and International Academy for Quality. He received a M.Sc degree in Industrial Engineering from Kharazmi University, Iran and earned the Superior Student Star award between Ph.D and M.Sc students in June 2016 for his valuable research with international universities and professors. His research interests include statistical quality control, excellence models, mathematical modeling, optimization, supply chain management, natural disaster management, operational research, system analysis, forecasting methods. He has published many papers in Springer, Taylor and Francis and other well-known publications. 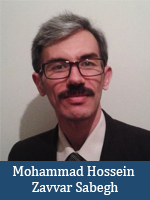 Mohammad is currently a member of Editorial Review Board at Quality Management Forum, ASQ and working as a reviewer with international journals such as Journal of Manufacturing Technology Management, Computational and Mathematical Organization Theory, International Journal of System Assurance Engineering and Management. International Journal of Data Mining, Modelling and Management.